Eupatorium perfoliatum or commonly called Boneset is mainly a North American perennial plant that belongs to the sunflower family. Though grown maximally in North America, it is native to the Eastern United States and Canada, spreading to Florida and Texas, Nebraska, the Dakotas in the far west. This is a much talked about plant due to its increasing benefits in homeopathic treatment, and it is renowned for medicinal use in treating dengue fever often called breakbone fever. Thus, the plant got popularity in the United States for curing millions in the 19th century, and hence, it was coined with the common name Boneset. 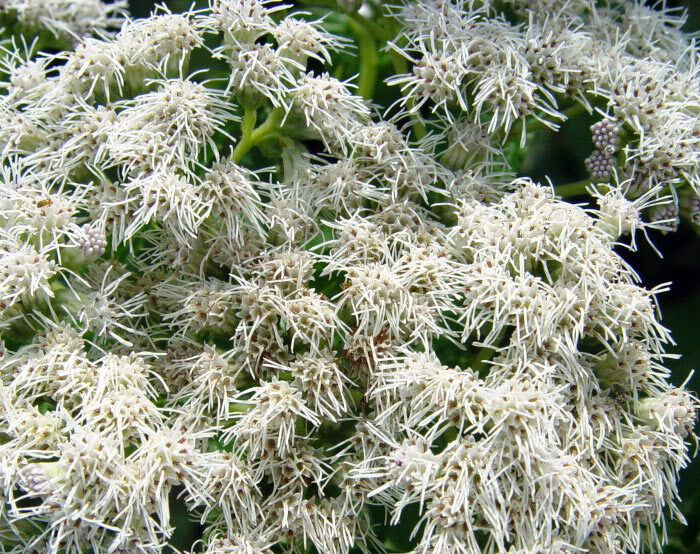 The plant eupatorium perfoliatum seems attractive because the leaves clasp the stem and being angiosperm, it also bears beautiful white coloured flowers on the bunchy top of foliage leaves. Eupatorium perfoliatum has many other names like Boneset, Indian Sage, Vegetable Antimony, Crosswort, Thoroughwax, Agueweed, Feverwort, Thoroughwort, or Sweating Plant. Though all the plant parts are active yet the herb is official and maximally used, it produces gum, resin, tannic acid, volatile oil, etc. Boneset is a native to Canada and the United States, but it spreads over a wide range covering western areas of Texas, Florida, The Dakotas, and Nova Scotia. The plant is ubiquitous, and hence, can be found growing well in marshes, swamps, and shores from Canada to Florida. The time period of July to October is most favourable for its growth as the plant reaches to a height of about one meter. Boneset is beautiful and attractive with a hairy bright green herb like body. The plant is believed to have laxative and diuretic properties in small doses while the large doses may result in catharsis and emesis. 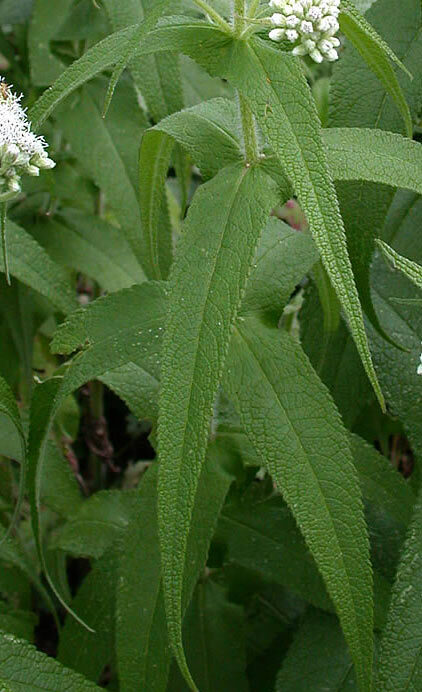 Boneset has a main and renowned use of treating fever; it acts as much safer and effective antipyretics. It is used to treat bacterial infection like pneumonia and disease like swine flu, influenza, acute bronchitis and fluid retention. Boneset is also called sweating plant due to its herbal action as it acts as a stimulant and causes sweating during intake. It also treats nasal inflammation and joint pain (rheumatism). Boneset works on the principle of anti-cancer medications, which contain such chemicals that act vigorously against bacteria. Eupatorium perfoliatum acts as the main constituent in homeopathic treatment to cure cough, painful soreness of eyeballs, fever, etc. 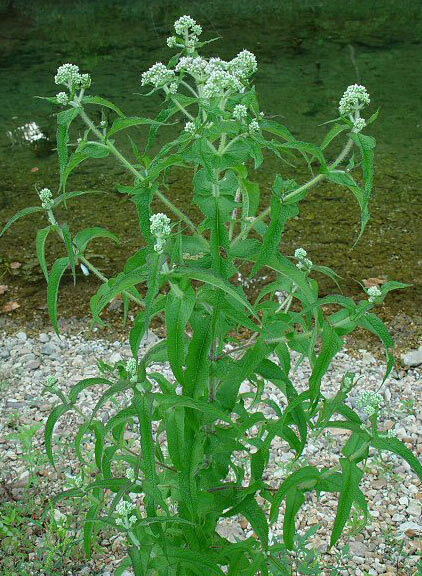 Boneset is a specific food for butterflies and is found in swampy, marshy habitat.